Here are a few reasons why a Jack and Jill bathroom may be a good fit for your home! Bathrooms can take up valuable real estate in a floor plan. Using one bathroom to serve two bedrooms can save space and money for larger families or for people who have homes where guests visit, but a private bath for each bedroom is overkill. A Jack and Jill bathroom can be shared between a bedroom and the hall, but most often are between two bedrooms. Since the bathroom can be locked from either side, the bedrooms still remain separate and private. And with those locks, the bath can be made private as well. A Jack and Jill bath can help kids learn to share and to compromise on their toiletry time tables. If you do decide to create a Jack and Jill bathroom, you should make sure you add in some conveniences that will ensure its success. Two sinks – A Jack and Jill bathroom shares a toilet and bath/shower, but it should have two sinks, so the less-private activities (e.g., teeth brushing and hair combing) can take place in concert. Locks – For both bedrooms and their occupants to have privacy in both the bathroom and their bedrooms, there need to be locks on both sets of doors. And those doors need to lock on both sides. Everyone just needs to develop the habit of unlocking all the doors when they leave, so as not to lock the other bedroom out of the bath. Double Up on Accessories & Storage – To keep things equitable and running smoothly, make sure to have adequate vanity mirrors, towel bars, and storage areas for all the things you never dreamed would be necessary in a bathroom. If your ready to remodel for you Jack and Jill bathroom, give Strasser Woodenworks a call. 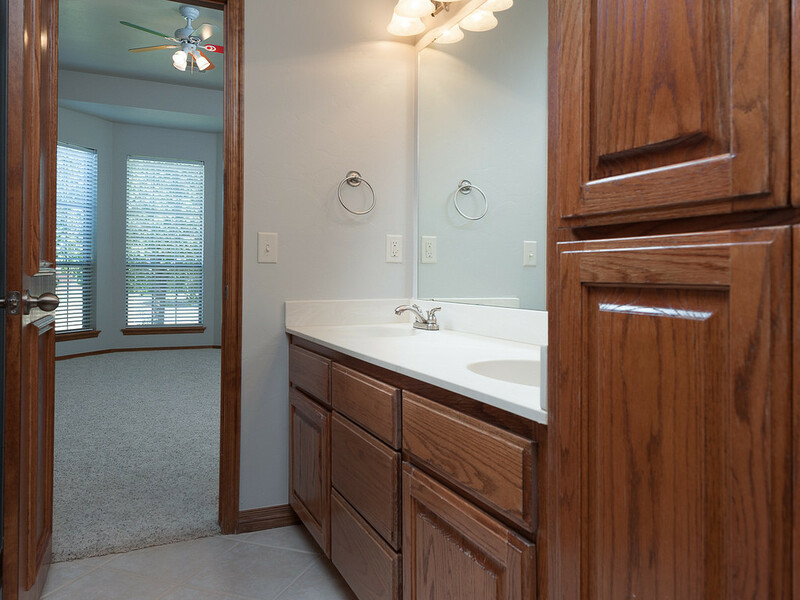 We are here to help you with any questions about your new bathroom vanities and cabinets.